I had covered P1Q1 in the "traditional" way – read part of a text, list four things and in a blink and you miss it kind of way that was fine. I had also put together a number of Kahoot quizzes based around the As Told by Teachers free anthology of short stories but you can only do these if you have digital devices to hand (which isn’t always the case by any means). Students love the competitive nature of a Kahoot so for this lesson plan I also wanted to retain an element of rivalry. So, I came up with a slightly cunning but very straightforward plan – and it works. As well as covering Assessment Objective 1 (AO1) – “identify and interpret explicit and implicit information and ideas” – it also covers some ground in terms of AO5 and AO6. These are where writing skills come to the fore – candidatess must communicate clearly, adapt to a certain tone and style and organise their ideas (not to mention sentence structures, spelling and punctuation…). It also enables students to ‘take control’ to an extent. The idea is that students are given a picture with the first paragraph of a story – in homage (imitation!) of the kind of picture and text they might be given in Paper One - like the one above. Here is an example of one of the ‘prompt’ paragraphs. 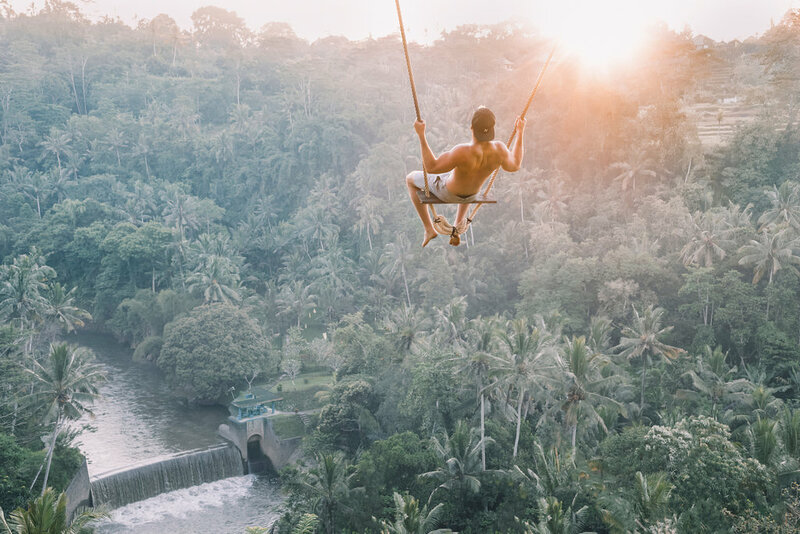 Lucas let out a shriek, half of joy, half of panic as the rope swing thrust him upwards, out in to empty space. Hundreds of metres below him the jungle canopy stretched in to the distance. One small slip and he would plunge in to its emerald greenness and oblivion. Now everything comes together in to a handout. You can see how I presented it above. The students get written instructions on the handout, as well as from me at the front (I am going to be a cat herder in my next life so I can transfer this skill). List four things about Rosabel from this part of the source. List four things about Alice and her surroundings from this part of the source. List four things about Mr Fisher from this part of the source. List four things about this jungle from this part of the source. Interesting - two about characters only, one about character and surroundings and the latest about just the surroundings. You can almost hear the whirr click whirr of the examiners' collective consciousness as they try to include variety in this question - "Well, we've had Rosabel and Mr Fisher... What about a jungle?". As such I always give the students leeway to write a paragraph about character, surroundings - or both. Not only do the students have to write the paragraph from which the question would be taken, they have to write the question too. This (I hope) enables them to embed P1Q1 more firmly than ever in their minds, including the skills needed to do it as they have had to put themselves in the position of exam writer for this. They are also instructed to include at least one language feature in their paragraph. I usually give between 10 and 15 minutes for the students to write the paragraph (some classes do it faster than others, of course). The next step is to share their work with others in the class. Each student passes their finished paragraph and question on to their neighbour (or further afield). They will in turn receive a finished paragraph in return. 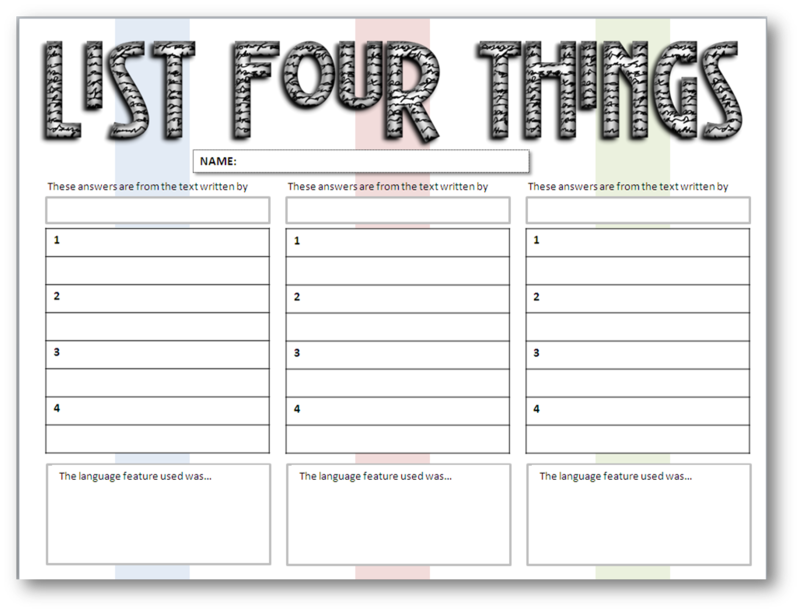 The students then read through the text they have been give and respond to the ‘list four things’ task. They also have to try and find (and identify) the language feature that was used in the paragraph. I give them four or five minutes for this. Next the students check their answers with each other - with the originator marking the responses. This can involve some movement in the class - and sometimes some disagreement too when answers are marked as incorrect! There is then a ‘repeat and rinse’ so that everyone gets to do this three times with different texts. This is the handout I give them for this part of the class. We then go over some of the texts and the possible answers as a whole class. For this reason I limited the number of picture and paragraph prompts to six. 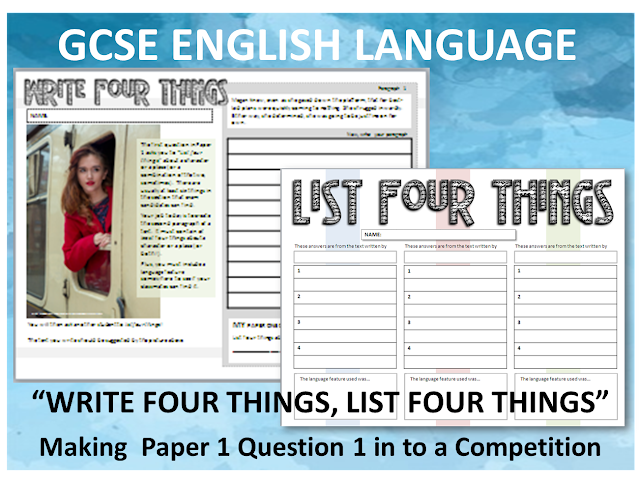 Each student will have been exposed to four of these (the one that they write, and three that they answer); the additional two don’t impede the lesson as the students already ‘get’ what’s going on. Six seems ideal – and more and the waters seem to start getting a little muddy. Does it work? Yes, it not only covers P1Q1 but it promotes discussion (sometimes quite heated) about the nature of question1 (implicit and explicit information). 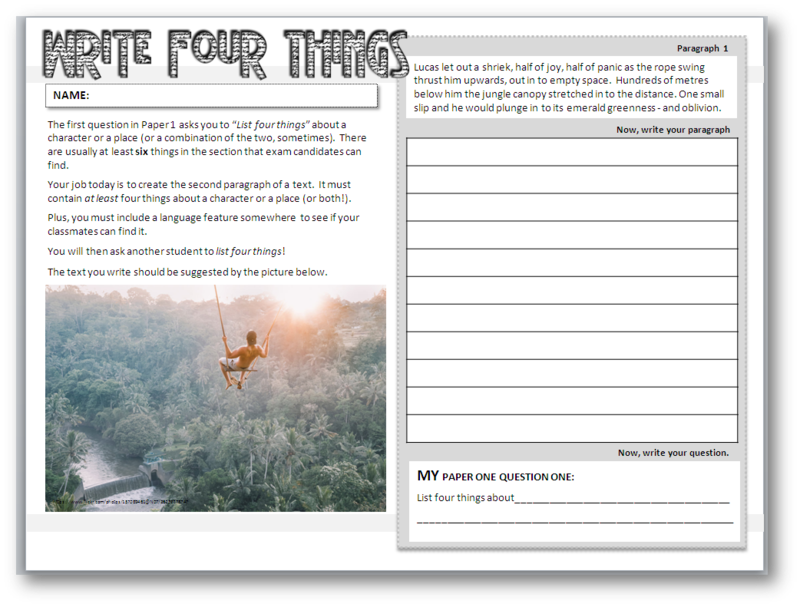 Moreover it also helps with some of the students who are reluctant writers – the game element (competition, frankly) persuades them to take more care in their writing. Oh yes - the writing. I’ve had a number of lovely paragraphs from some learners whose usual efforts leave something to be desired! Not only that but the confident writers in the class can do more than one of the writing tasks if they finish early. Similarly there are also usually a few students who only respond to two out of three texts – no problem. If they haven’t finished after five minutes then they keep the text in front of them for the next response. I also get a few ‘this is bare hard, innit’ comments – it’s something of an eye-opener for some students who labour under the impression that the exam board picks a text at random and bungs the questions underneath. I don’t tell them that sometimes (as in the case of Rosabel) that some sly editing goes on in order to fit an almost round peg in to its hole. 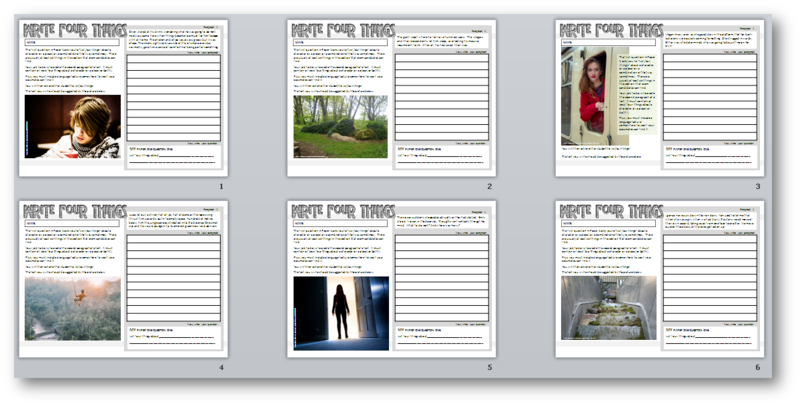 Feedback from this lesson is always positive – it is something a little different and focuses on important assessment objectives without being too heavy-handed. In fact, I get asked for repeats as the students like the element of competition. As you can see it’s not too complicated to put together either... And, of course, zero marking is involved - always a plus! You can find the files needed for this lesson here. It is a TES paid resource. 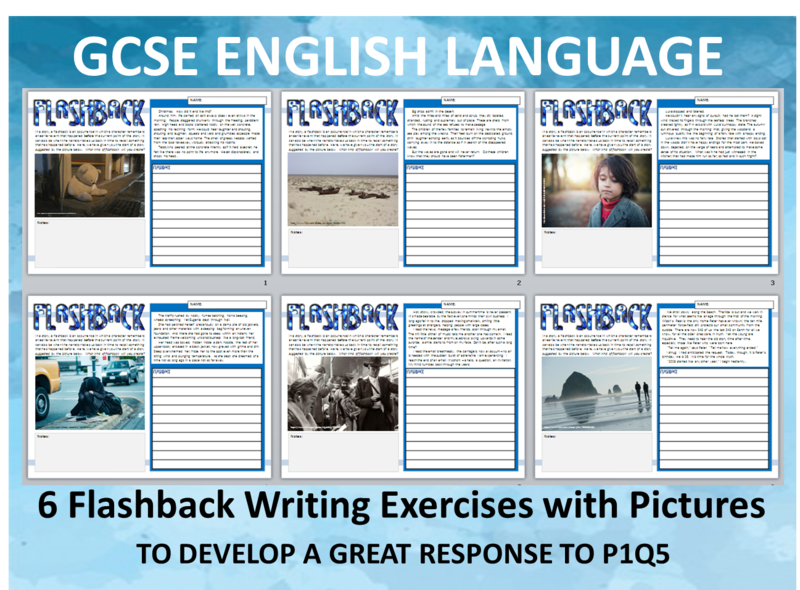 The resource below, where students are asked to write a flashback, is in a similar vein.